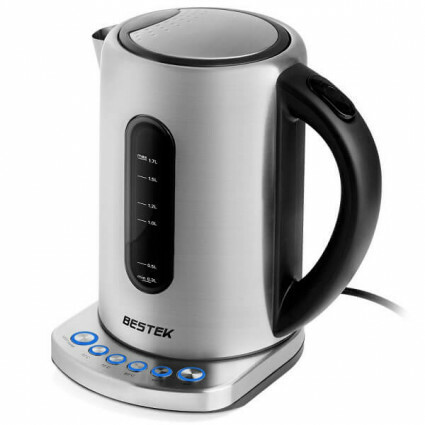 BESTEK electric water kettle is made of BPA-free stainless material, durable and safe to use. 1.7L large capacity allows you to boil teas or coffees for whole family. Temperature control with auto shutdown function makes the kettle smart to protect your device from dry boiling and can keep the beverages at your favorite temperature for a long time. It’s got five settings from 60-100°C and will keep the water at that temperature for 30 minutes.